Living Alchemy entered the Play Everywhere Challenge with a unique design to bring a surprising, playful element to an otherwise generic urban space - the city bus stop. 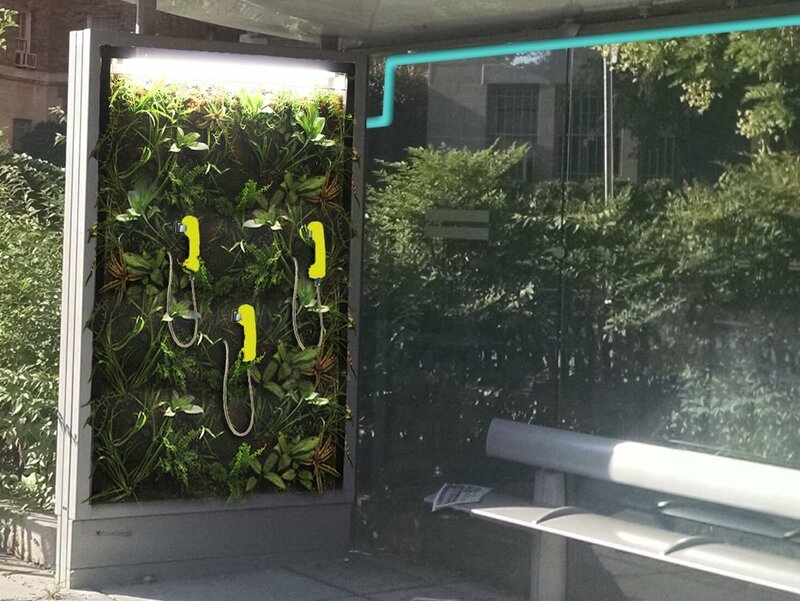 ‘Nature Calls’ integrates a greenwall into existing bus shelter infrastructure, and up-cycles pay phones to play various sounds of the natural world. This national competition included leaders from the business, nonprofit, urban planning, and arts sectors representing a breadth of creative, replicable, and fun ways to help more kids and families fit play into their everyday lives.